I just want Chick-n-Minis every day of the week. 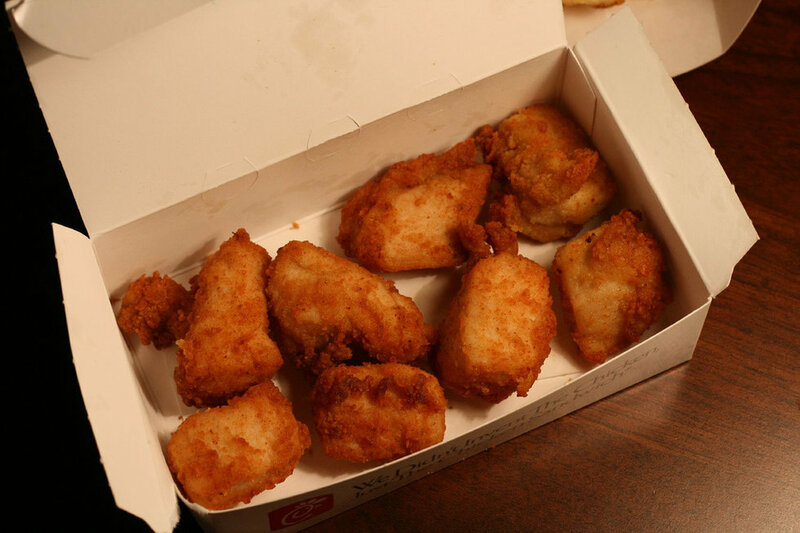 In the contest of best nuggets, Chick-fil-A comes out way above the rest. I'm sorry if you disagree with me, but I'm even more sorry that your taste in nugs is subpar. When this wonderful restaurant closes its doors on Sunday so that its employees can spend the day with their families, tears are shed even though we understand why this must happen. 1. 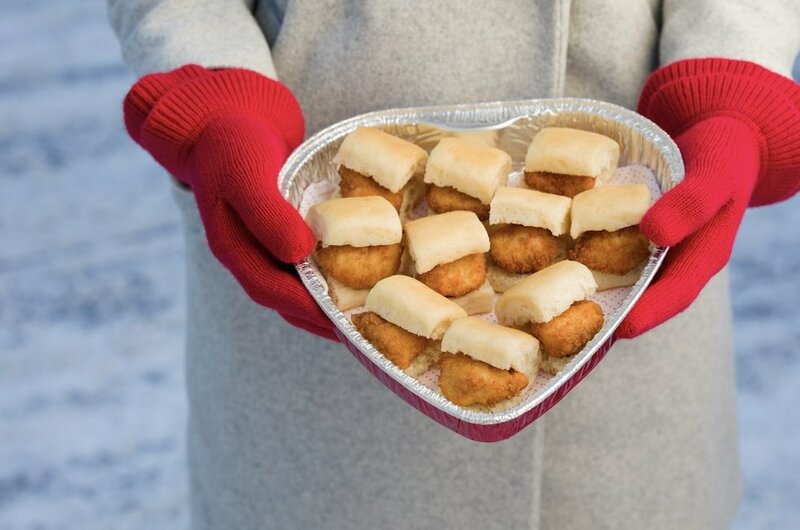 You don't get Sunday morning Chick-n-Minis. Chick-n-Minis literally fuel my existence and make days livable. Sundays are usually my only day off, and I want nothing more than to roll out of bed and eat some nugs wrapped in bread with that sweet honey glaze. 2. When you drive by one after church. You know that they have a good reason for being closed. You know that they are doing good. But doesn't having Chick-fil-A after church just sound heavenly? I guess the world will never know. 3. Getting into a drive thru of a Chick-fil-A before realizing what day it is. You know people are driving by shedding a tear for you as you slowly drive away from the building after realizing what day it is. It was a long week last week, and you're starting this one out on a rough note too. When you know that Chick-fil-A beats all, it can be hard to go through the line at McDonald's and settle for their chicken nugs when you know the real deal (sorry McDs, but you know it's true). 5. Pour one out for all the nugs unsold. Just think about all the nugs that are just waiting to be sold to a worthy guest only to be disappointed to have to wait one more day to be devoured. 6. 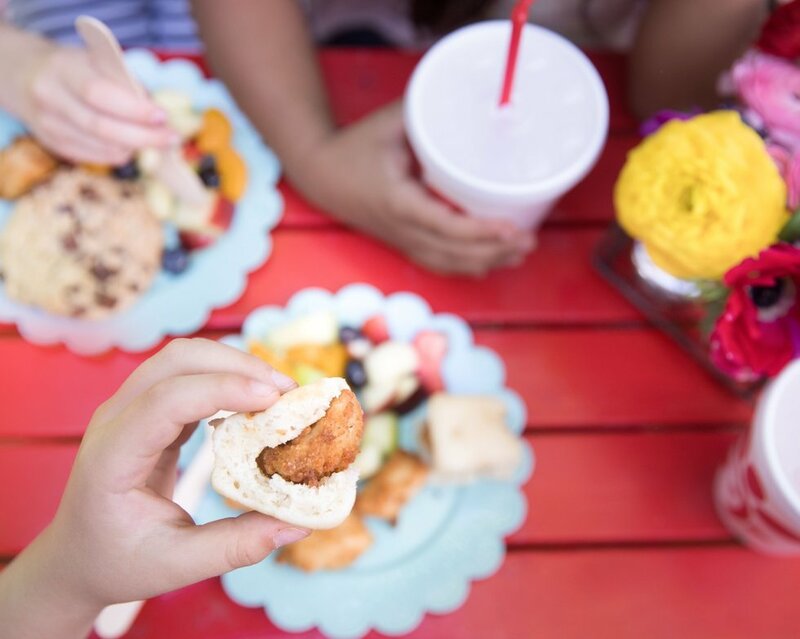 When Sunday is the day you crave Chick-fil-A the most. 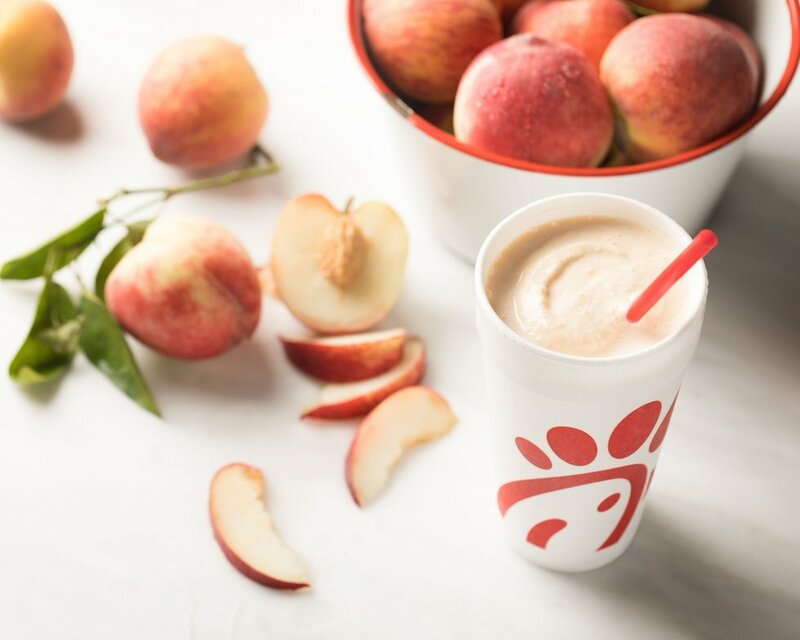 I don't have the exact statistics for it, but I believe that on Sunday people are at least 50 times more likely to think about Chick-fil-A than on any other day. I'm no mathematician, but this seems mostly accurate. 7. Not being able to get milkshakes. 8. You can't start your week off on the upswing. With Chick-Fil-A being closed, your week is automatically knocked down a couple notches as you cannot properly prepare for Monday. 9. Reheated Chick-fil-A is just not the same. Yeah, I've been told to order twice as much food on Saturday to prepare for Sunday, but it's just not the same. The fresh smells, the delicate crunch... they're both lost when they get reheated. 10. Using Chick-fil-A sauce with anything besides Chick-fil-A food is just sad. We all do it. 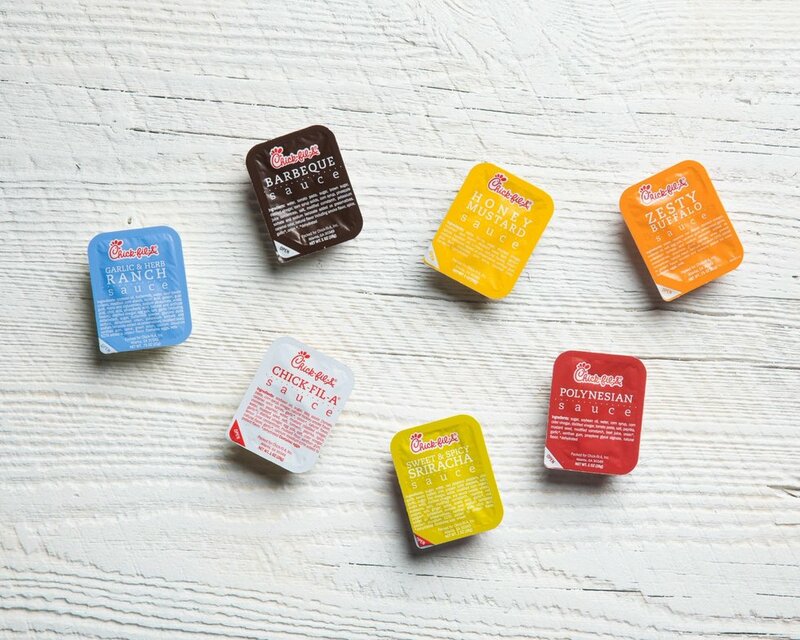 We all stock up on Chick-fil-A sauce in order to use it on days we can't have Chick-fil-A, but we're left with a slightly empty feeling. It's not the same using the sauce without the nuggets or waffle fries. 11. You may dream of their ice dream cones, but you can't get any. I guess you'll have to keep dreaming, kid. It's okay because you'll reach your dream eventually. 12. I'm circling back to the Chick-n-Minis because that's what hurts the most. They're so close, yet so far away. Waking up and wanting to start off your day with them before realizing that you can't makes you start off on the wrong foot, and it's the worst. Chick-fil-A, I understand that you have legit reasons to be closed on Sundays, and I respect you. But also, why do you want us to hurt without you? Not only aesthetically pleasing, but also delicious. In the past couple of years, there has been a growing craze and fascination with avocados. While we have had avocados around for a long time until recently more and more people have been adding this to their list of favorite foods. Personally, when I was younger I could not stand the taste of it. Now that I am older I don't know what has changed in me but avocados always sound good to me. When eating out, I find myself looking at the menu to see what items include avocados. Or when I'm at home, it's so quick and easy to turn it into a yummy snack. There are so many benefits to eating this but here are some I will lay out to you. Generally, one avocado is around 60-70 calories and has around 6 grams of fat. While it is a small snack, it can fill you up for the time being and there are many vitamins in this like vitamins C, B, K, and B-6. 2. Can improve your digestion. An avocado pretty actually high in fiber with approximately 6-7 grams per half fruit. 3. Can detoxify your body. While it can promote bowel movements this helps in getting rid of inflammation and ultimately getting rid of toxins that need to be removed. 4. Can improve your eyesight. Like carrots, avocados can help with improving eyesight. They are filled with lutein and zeaxanthin which are two phytochemicals that are especially concentrated in the tissues in the eyes where they provide antioxidant protection to help minimize damage from things such as U.V. rays. 5. Can lead to healthy pregnancies. Avocados contain more folate per ounce than any other fruit. Folate is necessary for healthy pregnancies and will lessen the chance of possible miscarriages. I may have a smile on my face, but chance are I just dealt with someone who wore my patience thin. From the time we are children, most of us learn that we need to be on our best behavior when we get the privilege to go out to a restaurant to eat. However, after working in a fast food setting in high school and with my current job at a Sbarro at the HUB (basically like a food court on campus), I have noticed so many things inconsiderate things that many people regularly do. It seems like, for whatever reason, people suddenly forget their polite behavior when they go to a fast food restaurant as if those places and their workers do not deserve respect. 1. Do not dump liquids/throw full cups in the trash. Not only does liquid make garbage bags so much heavier, but it also increases the chances of the bag leaking which means workers now need to mop and fish gross soda-soaked wrappers out of the bottom of the can. 2. Throw your trash away. 3. Realize that the workers do not make the prices. Don't get mad at me for the company's prices. There are standards set by the larger corporation and complaining won't allow you to pay any less. Plus, if you don't like the prices, the workers probably don't either. 4. Telling me to "check in the back" is going to do literally nothing. If I tell you we don't have something, we do not have it. Chances are that you are not the only one asking about it, and I have already looked multiple times. 5. If a worker asks you to give them a second before you place your order, do not start placing your order. We understand that your goal is to get in and out as quickly as possible, but I would not ask you to wait if there was not a reason. It will take less than 30 seconds for me to turn around and throw a pizza in the oven, and it will only take longer for you if you interrupt me then have to wait for said pizza to heat up anyways. 6. Do not tear up straw wrappers and napkins and leave them on the table, floor, etc. This is so unnecessary and very annoying to clean. 7. If you spill something, either clean it up or let a worker know. Accidents happen, and we won't be mad if something spills. We will be mad if you don't do anything about it, making the mess worse and creating a hazard for us and other patrons. 8. When I say your food will be out in the next few minutes, don't get huffy. Do you want me to serve you cold food? Didn't think so. 9. Don't stay past closing time. I understand that you are studying, doing work, or socializing, but we have a closing time for a reason. Some workers don't get to leave until the dining room is clean, and you are prohibiting that. We also want time to study, do work, socialize, or whatever it is that you were doing too. 10. If workers tell you that you can stay an extra few minutes, appreciate that. I am interrupting my cleaning routine so that you can have a few minutes to finish what you're doing and get your stuff together. I don't have to allow you to stay, so it's irrational for you to get angry when I start sweeping and wiping off tables near yours. 11. If a garbage can has a tray over it or says not to use it, don't move the tray or sign and put your trash in it. There are so many trash cans in the establishment, so you don't need to use that one that says not to. If even one person throws food into a closed trash can, the entire bag needs to be thrown away, which is both time consuming and wasteful. 12. "Give me [insert order here]" is not the best way to order. Frankly, this is just flat out rude. Plus, we might not have what you want me to give you, so maybe use your manners. 13. Don't talk to workers like they are dumb. Yes, I work in a fast food restaurant/food court type place. No, that does not mean that I am unable to comprehend what you are saying. 14. Keep an eye on your kids. In no circumstance is it cool for you to allow your kids to run around unsupervised no matter the status of the restaurant. 15. If you do not know what you want, allow others to go in front of you. People are here to get their food fast, and when you hold up the line, it not only irritates other customers, but it also makes it more difficult for the workers who now are going to have a rush of orders. 16. If you move chairs around, put them back. Clearly, four chairs do not belong at the end of a booth table. You moved those chairs, so put them back. Not only is this an added step for workers, but it acts as a hazard and inconvenience to other diners. 17. Don't put your gum under the table. Do you want to stick your hand in someone else's gum? No. So imagine having the clean wads of gum from under a room full of tables. 18. If you are pointing at the food you want, chances are I cannot tell exactly what you are pointing at. Unless you have a legitimate reason for not being able to speak, don't point without saying something. Many people find it rude, and it is also super inconvenient because the worker has to name everything in the near vicinity of where you are pointing so they can give you the correct order. 19. If the restaurant differentiates orders by numbers, know your number. As if it's not vocally straining enough calling out numbers all day, it's worse when workers need to call out an order number multiple times. 20. When a worker is helping someone else, don't interrupt and demand their attention. There have been so many times where I have been in the middle of serving someone and another person steps in front of them to get me to acknowledge them. This not only is annoying to the worker but is so rude to the other customer. If I have someone else's food in my hand and am literally in the process of asking them how much sauce they want on their pasta, what makes you think that I am free to wait on you and avert my attention from the person who was there first? 21. Don't tell a worker they look tired. Yes, I look tired. Want to know why? I probably am. Everyone has their own lives and their own struggles. I am currently taking 21 credits, have two internships, am working at least 13 hours a week, doing homework, studying, and still attempting to maintain a social life. I think that would tire anyone out. 22. Get off your phone before you go to the counter. Nothing is more aggravating than when I have to try to differentiate when someone is talking to me or when they are on the phone, especially with wireless headphones now. Also, it is totally absurd for ME to feel rude when i have to interrupt your phone conversation in order to ask you a question about your order. 23. Realize that the restaurant does get busy and it's impossible for the dining room to be spotless at all times. If you are coming in at prime lunch or dinner times, there will be a rush and workers are focused on getting the diners in and out as quickly as possible. This creates less time for attention to be on the dining room, causing it to get a little disorderly. However, after the rush subsides, the dining room will be attended to. Also, people who don't have common courtesy make keeping the dining room clean a lot more difficult and time consuming than it should be. 24. If chairs are up on the table, don't try to sit in that part of the dining room. This probably means that that area has just been cleaned or is closed. Either way, that causes a safety hazard for you, while also making the worker go back and clean something that they had already had done. 25. Do not decide that it is best to catch up on your personal hygiene at a restaurant. I wish I could say that I haven't seen this, but I definitely have. There have been times where I had to sweep up (hopefully) fingernail clippings. I also have seen people brushing their hair near other customer's food. This is absolutely disgusting, and I wish that I did no have to say this, but please just don't do it. Use your best judgment, and if you would be grossed out by someone else doing it, then please just don't.